Fleet and Company Driver Training in South Yorkshire, Lincolnshire and Mainland UK for drivers of cars and light vans. "Working towards zero road casualties." Thank you for taking the time to visit my website where you will find information about the fleet and corporate driver training I offer throughout South Yorkshire, Lincolnshire and mainland UK for drivers of company cars, light vans and grey fleet. My USP? I am a highly qualified independent driver trainer with a very strong advanced driving background who specialises in fleet driver training. Information within the website will give you a flavour of what I can offer. I pride myself on my customer service and delivery. You have flexibility when booking courses and no pressure or time limits to purchase training. We can work together to design bespoke training to meet your needs. Driver training offers an opportunity to reduce your organisational road risk. It also goes hand in hand with eco efficient driving techniques. Effective management of road risk and eco efficient driving will save you money. Making sure your drivers have the skills they need to stay safe is important. Many drivers will not have taken any driver training since passing their test. However, most accidents are caused by driver error. Understanding driver behaviour is important to effectively manage risk. Helping your drivers to understand what motivates them and encouraging them to take responsibility for their own actions can be empowering. I offer a selection of courses for your company drivers and managers. I also offer a high degree of flexibility because you can mix and match elements from the different course formats or we can work together to design a bespoke course to meet your organisational requirements. You are encouraged to invest in a training programme which you want and which will benefit you. I provide on line driving licence checks, on line driver profiling and e learning modules working in partnership with Roadmarque. Roadmarque is an organisation which specialises in providing flexible on line solutions to help organisations effectively manage their on road risk. They do not sell driver training. They are independent, objective and will not use the risk profiles they produce as a platform to sell you driver training courses. Roadmarque has been developed since 2008. It helps to identify the prevalent risk factors for individuals and can make recommendations and interventions to help you to manage your on road risk. Click here for more information about why I recommend Roadmarque as our service provider for on line solutions. I encourage you to go directly to Roadmarque for your on line driver profiling because this will reduce your costs. I will then provide you with the in car training, coaching, workshops or mentoring you need for your drivers to reduce any risks which have been identified. The key to maximising any training programme is continued review and intervention. Making sure that polices remain fit for purpose, high risk drivers are identified and effectively managed as an ongoing process. I can assist you to manage your on road risk by mentoring your managers and helping to empower them with the skills they need to be effective at managing road risk. Alternatively, you may already have in place effective policies to manage risk overseen by highly skilled managers but you require a trainer to deliver your on road driver training. Whether you want on road training designed to raise the personal awareness of your drivers and help them to manage their behavioural risk factors or you want a traditional skills based on road training session I can deliver. I also offer bespoke training to meet your needs. I provide a level of service larger companies will struggle to meet. For example, you will have direct access to me to answer your questions and to book your courses saving you time and effort. Post training, you will continue to have access to me as a single point of contact for any follow up questions, support or guidance. Disability should not limit the productivity of your employees. 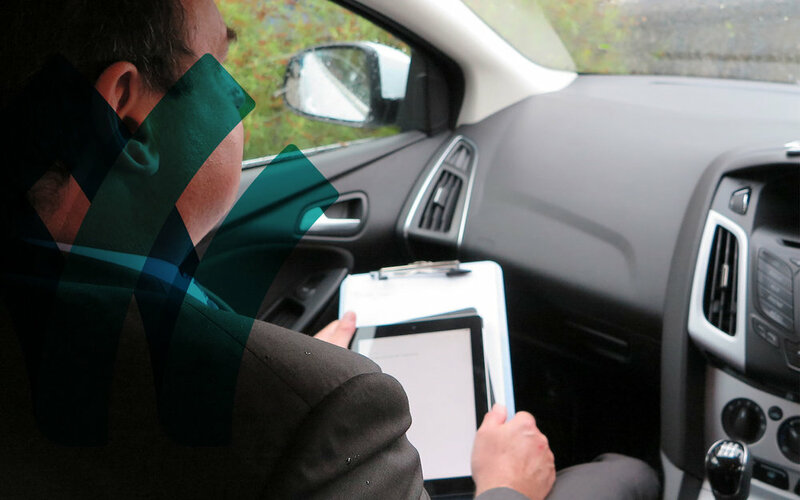 Whilst responsible employers already make reasonable adjustments have you ever considered what adjustments you can make to support all of your staff who have to drive as part of their work above and beyond providing a company car? How can I help you to support your staff who drive as part of their work? Understanding organisational behaviour is also important. What motivates your company? What safety culture do you think you have? What safety culture do you actually have? What we think, how we manage and promote safety are also products of our beliefs, attitudes, experiences and self-image. How effectively are you managing your organisational behaviour? Are policies and procedures clear, concise and effectively communicated to all staff? Do you recognise and reward safe driving practice? Are you proactive or reactive? Consistent or hit and miss? What opportunities do you have for improvement? Are you ready to make a training and organisational investment? Why invest in Celtic Driver Training?